Radiesse is an FDA approved treatment which is made of calcium hydroxylpatite microspheres which are suspended in a water-based gel. This water-based gel is what initially fills in the wrinkles which are being treated. Once injected, the microspheres stimulate collagen growth so that a connective tissue will form around the microspheres, making a more durable filler. Radiesse is a biocompatible treatment, which means that it is safe to use in the body. 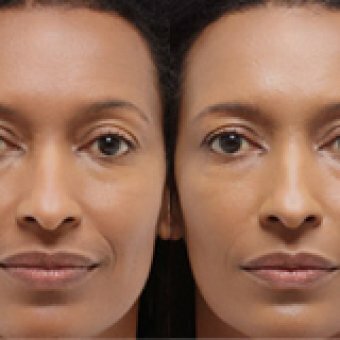 If you experience nasolabial folds, depressed scars, marionette lines, or sunken cheeks, then Radiesse may be the right treatment for you. Radiesse will begin to work immediately, and the results will typically last for up to a year in most patients. 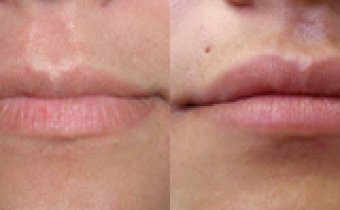 Patients will usually return for another treatment after 12-18 months to maintain the results of the Radiesse treatment. It is not uncommon for a patient to experience mild irritation or tenderness at the injection site. It is also possible for edema to occur, and slight discoloration. Call to set up your appointment today, and see the amazing difference it will make. Treatments should not take more than an hour, and be assured that you will leave feeling absolutely fabulous!